Have a 2013 Trek Skye SL women's specific mountain bike for sale. It has brand new ergonomic handlebar grips, new tires, it was service in the fall, and it has been well-maintained. 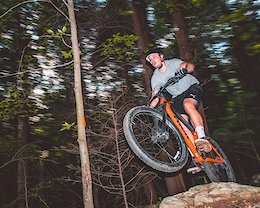 It was lightly written last year it is a great entry-level mountain bike for anyone looking to get into the sport looking to do easy riding. Asking $400 or best reasonable offer. Will ship at the buyer's cost. The Roscoe 8 features a strong Alpha Gold Aluminum frame, confidence-inspiring 27.5+ tires mounted to Tubeless Ready Bontrager Line rims, and a 120mm RockShox Solo Air fork with a TurnKey hydraulic lockout. Plus, a SRAM NX Eagle 1x12 drivetrain,and Shimano MT200 hydraulic disc brakes. This is an awesome hard tail for any entry level mountain biker. This bike is a size 23 frame made for people 6’4 and taller. This bike does not come with the dropper post, and might need a tune up soon. The brakes are starting to squeak a bit and might need a new flywheel in the future. I also have a set of twisted PC donut pedals that I can throw in as well. I’m asking $900 OBO. Bought the bike brand new last spring and it has one season of riding on it. Buyer pays for shipping.